“The America’s Cup is the most prestigious and oldest trophy in international sport. Mouton Cadet’s winemakers and America’s Cup sailors alike make the most of nature, team spirit and innovation, whether in the vineyard or at sea”. The Special Cuvée was made in close collaboration with Sir Russell Coutts, CEO of The America’s Cup Event Authority (ACEA) and internationally renowned yacht racing legend. 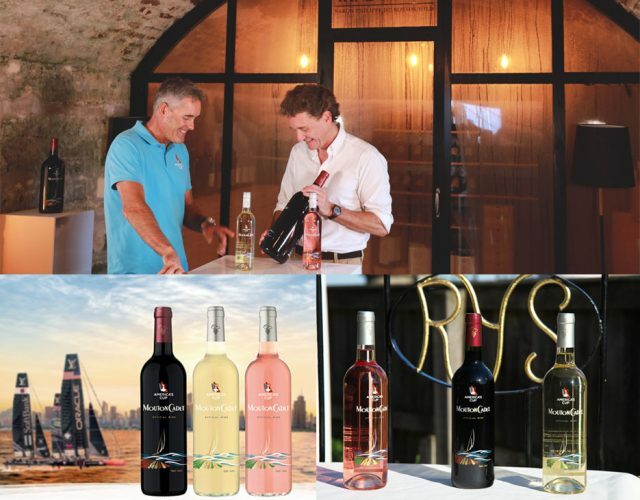 The limited edition red, white and rosé wines have been produced to celebrate the new relations between leading Bordeaux brand and the 35th America’s Cup as Official Wine. Bespoke packaging for the trio has been designed in collaboration with Sir Russell Coutts whose signature appears on every bottle alongside a glass-etched design depicting the forces of nature on land and at sea. Mouton Cadet has been the exclusive wine served during the Louis Vuitton America’s Cup Qualifiers on 26th May, 2017, followed by the Louis Vuitton America’s Cup Challenger Playoffs, and then the 35th America’s Cup Match, presented by Louis Vuitton, 2017. The launch of this Special Cuvée took place in February 2017 at Trinity House, which was chosen as it is the home of the UK’s official charity dedicated to safeguarding shipping and seafarers, and it was in the UK that the first America’s Cup was contested in 1851. At that time the trophy was awarded by The Royal Yacht Squadron Isle of Wight to the schooner “America”, thus becoming the America’s Cup. In recognition of the origins of the competition, the first delivery of Mouton Cadet 35th America’s Cup Special Cuvée wines will be to the members of The Royal Yacht Squadron in Cowes, Isle of Wight. The excessive consumption of alcohol may cause health problems.